ELSS is more volatile than the fixed income alternatives available for tax-saving but has the shortest lock in and offers the potential of growth via equity. For most of us, retirement saving is typically the most ignored goal in our scheme of things as it appears distant and one does not feel a pressing need to address it. However, our desire to save tax every year could be channelled to help us achieve two goals with one investment: tax saving and investing for retirement. 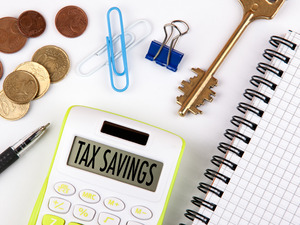 By default tax-saving investments have to be done annually to save on tax for that fiscal. One tax-saving instrument under section 80C of the Income Tax Act is equity-linked savings scheme (ELSS) of mutual funds. ELSS is riskier than the fixed income alternatives available for tax-saving under section 80C but has the shortest lock in and offers the potential of growth via equity. Young earners who are starting to save for retirement can look at ELSS to achieve this as well as save tax. Here's how . ELSS is an equity diversified mutual fund scheme with a lock-in of three years from the date of investment. After the lock-in ends, the scheme turns into an open-ended scheme and the funds are allowed to be withdrawn. However, instead of redeeming, let the funds remain invested to meet your pre-decided goal, in this case your retirement. Keep investing every year till about five years before you retire. Remember, equities need time to perform and with a goal less than five years away, they should be shunned. With about five to seven years away from retirement, any fresh investments into ELSS and even the ongoing investment (after becoming open-ended) may be considered only after taking into account your risk profile. Ideally, as a derisking strategy, start moving ELSS funds into less volatile debt assets as one nears retirement. Here's how it will work. Say, one invests Rs 8,000 monthly in ELSS (Rs 1 lakh annually) for 20 years of one's working life towards retirement. Assuming a growth rate of 12 percent a year, the corpus could be nearly Rs 80 lakh, which could be part of one's retirement portfolio in addition to other investments earmarked for retirement. Now, before selecting the scheme you want to invest in, you need to arrive at how much you want to save as your retirement corpus. You need to arrive at the exact post-retirement monthly needs and then start saving for it in order to avoid over or under investing. 1. Get a fix on your household's present monthly expenses at current costs. 2. Get the number of years left for you to retire. 3. Inflate the household's present monthly expenses at about 5 percent. What you arrive at is the monthly expenses that you would incur once you have retired after adjusting for inflation. 4. Now, estimate how much corpus you need to create to provide for the inflated monthly expenses. 5. Finally, you will have to find out how much monthly savings will be required to create that corpus. There could be other savings earmarked for retirement. Hence, account for them too. Selecting the right ELSS may not be an easy task. Some ELSS may have more exposure to large-caps, while some may be more exposed to mid-cap stocks, or multi-caps. It's better to diversify across not more than 2-3 ELSS and make sure they have allocation into different industries and market capitalisations. Income tax rules allows one to use the redemption proceed of a tax saving investment to be used to save tax in the same financial year. Still, avoid the temptation to do this as it will not help you accumulate the desired corpus. You could invest a lump sum in ELSS each year, but if the SIP route is used, then remember that each SIP instalment in ELSS over the years will have a lock-in of 36 months (or three years). Once the lock-in ends, the investments in ELSS may be continued as an open-ended scheme. Keep reviewing the performance of schemes after the lock-in ends. If the ELSS scheme is performing, there's no harm in staying invested in it for the next year. While looking at a fund's performance, do not get led by the fund's return in isolation. Compare the scheme's return as against its benchmark return. A scheme which cannot beat its benchmark on a consistent basis need not be in your portfolio. Also, a look at the category average returns will tell you how good or bad is your investment against its peers. There could be reasons for that and you need to explore before switching.